I know it’s not quite summer. 29 inches of snow kind of proves the point, but we have a few things to share from the dock committee. 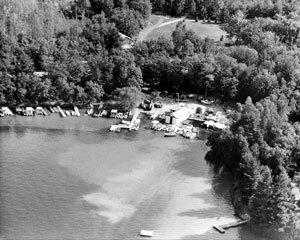 First off, we have had a number of folks suggest that we identify the docks a bit better, so that other campers and guests do not inadvertently use the wrong dock. While long time residents do not have a problem, there are many others including workers and marina delivery folks who would greatly appreciate better identification. What we plan to do is to identify each dock by stenciling in the dock the owners’ last name to be clearly visible to anyone walking onto the dock. If you have concerns, wish to do it yourself, or would like minor changes to the stenciling, please contact me at glennblock@hotmail.com before labor day weekend. Put “Cleghorn Dock Identification” in the subject line so I do not miss it. We will work on this project once the temperatures are warm enough to paint and should be done mid-summer. The second item is the dock rules which we have attached. They are also posted on the members portion of the camp website – www.campcleghorn.org look under the “camp rules” tab then select “mooring rules.” It would be wonderful if we had unlimited mooring spots. However, the reality is that the DNR grants us only 62 moorings which means that we have to make the best of what we are allowed. Because of those limits, the bottom line is mooring spaces are only allowed to be used by camp and mobile home residents. Every cottage owner gets one guaranteed spot and secondary spaces are limited. Last fall one of our rules was clarified (see rule 5C) to help ensure that mooring spaces benefit residents and not renters. The rule has always stated that a cottage being rented does not qualify for a secondary mooring. In keeping with that principle, we have made it explicit that this applies to short term rentals. If you rent your cottage long or short term – the renter may use your primary mooring and if you have a secondary mooring as some owners with short term renters do; it should be not be used when the renter has their boat at the cottages’ primary mooring. Please let someone on the dock committee know before you have a renter use your primary mooring space. We do monitor mooring usage to keep the camp within the limits of our agreement with the DNR and appreciate your assistance. And finally, all secondary moorings are in use this year. We are maxed out and will not be accepting any other applications until next year. There have been a couple reports of miserable low-life varmints going through unlocked cars and taking valuables. We’re not in Mayberry, so please remember to lock your car.